Since the occurrence of the Boston Tea Party, it has become an international and political symbol of protest. In 1973, people in Boston were calling for the impeachment of President Nixon and on the 200th anniversary of the Tea Party, there was a mass meeting at Faneuil Hall. They were protesting the oil companies in the current oil crisis. 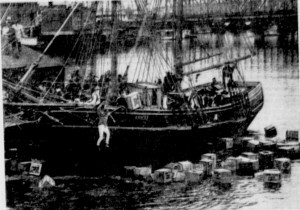 After the meeting, protestors went aboard a ship like the Dartmouth in Boston Harbor to hang an effigy of Nixon and dump several empty oil drums into the harbor. 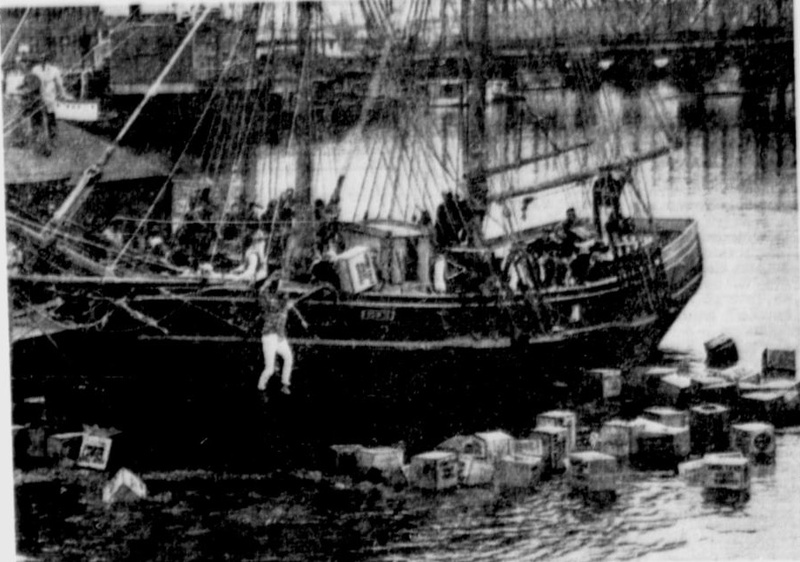 A photograph of protestors hanging a wax effigy of Nixon on a replica of the Dartmouth.